Welcome to the new Milbarn Construction Website. 3 Projects we have carried out We have carried out a large number of conversions, rear and side extensions as well as loft conversions, conservatory additions and garage extensions and builds. 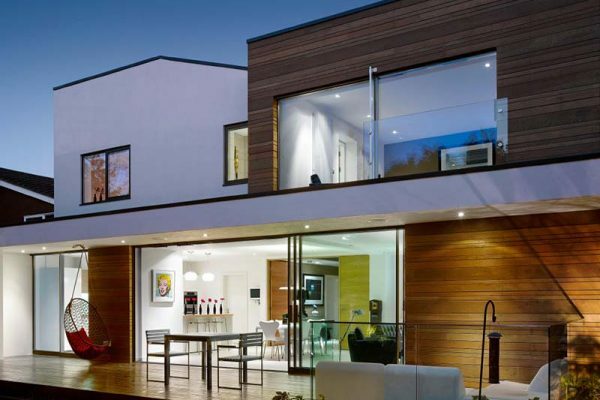 Some of the projects we have carried out include: Two storey, or double storey, over garage extensions which included full design, planning and construction through to decoration and final finish. Architectural planning, planning permission submission and structural engineering were all involved in the project. Although there were subtle changes to the property outside, the inside looked amazing. With an extended kitchen and utility room, the addition of a master. There are many things that you can’t compromise on when building your home. Normally, the kitchen is the most used part of the house, so it definitely needs to be right. In most home, the kitchen is the real heart of the home. It is not just a place for cooking and eating, but a place where family and friends gather to socialise as well. Whether your kitchen is part of a new build, a renovation or just a bit of home improvement – you can make a real impact on the feel of your home by updating your kitchen.. When constructing or purchasing that all-important first home, there’s much more to consider than budget or location, though these practicalities certainly need to be added to the mix. Twenty something professionals often get carried away with the euphoria of building or purchasing their first home and choose plans that are much larger than their actual needs. They also fall into the trap of buying a property that needs extensive renovation or refitting without realizing the cost, time and energy of undertaking such a venture. Renovation can become a much larger expense than initially expected and local Council planning needs to. If you’re renovating your private or commercial property and need a team of professionals who can plasterboard both walls and ceilings, you’ve come to the right place. Here at Milbarn Construction our team of experts have much experience in renovating properties in Essex, providing our customers with good quality plaster board and plastering for that much desired professional finish. The best thing about using Milbarn Construction for your plaster boarding is that we too have a team of highly skilled, professional electricians and plasters that can help put together the finishing touches to your project. Our friendly tradesmen offer free,. If noisy neighbours and passersby are getting you down, don’t move – sound proof! Here at Milbarn Construction we can sound proof your walls, ceilings and flooring to ensure you get that much desired peace and quiet within the comfort of your home or commercial property. We offer our customers affordable sound insulation from noisy neighbours and general domestic noise pollution. With so many possible soundproofing options out there, why suffer? Call us today for a free quote and put an end to your noisy inconvenience. We have been providing customers in Essex with sound insulation for many years. We. If you’ve just bought a property or have extended your existing property and are in need of a new staircase, look no further. Here at Milbarn Construction, we have provided people in Essex with custom made stairways, outdoor steps and banisters for many years. Our team of professional and skilled tradesmen have much experience in this field and promise to do their utmost to create a staircase perfectly suited to your property. We can create beautiful solid stairways to perfectly suit your personal tastes and requirements, all at some of most competitive prices in the area! Here at Milbarn Construction. Looking to add a touch of luxury to your home or commercial property? Why not add a swimming pool to your garden or property’s interior as a relaxing place to entertain friends and family. Here at Milbarn Construction we have helped many people in Essex create stunning indoor and outdoor pools all at some of the most competitive prices in the area. Both outdoor and indoor pools are an asset to any property, domestic or commercial. They add value and aesthetic appeal to those of you looking to put your property on the market in future or to draw in. Here at Milbarn Construction we think first impressions are of utmost importance when it comes to the appearance of properties. This is why we emphasise our fantastic rendering services for properties in Essex. Our team of professional and experienced renderers have changed the exterior of many properties within Essex to make them more aesthetically pleasing. All of our work is fully insured and guaranteed and we promise to give you some of the best competitive prices in the area! If you’re looking to put your property (whether private or commercial) on the market, having it rendered can not only add. If you’re thinking of stripping existing wall paper and having it re-done, but are scared of the hassle, look no further. Here at Milbarn Construction we have a great team of professional decorators who can cater for your every need. We understand that stripping existing wall paper can be a daunting prospect, especially if there’s more than one layer to be dealt with! Our team of professional and skilled decorators have many years of experience when it comes to removing wall paper and hanging new designs for customers all over Essex. Removing wall paper the old fashioned way is a.